2. 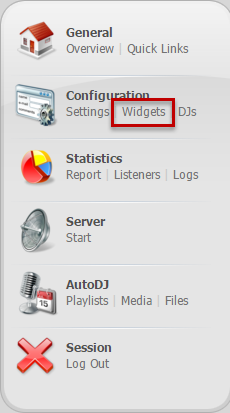 Then choose the Widget “Web Player“. 3. 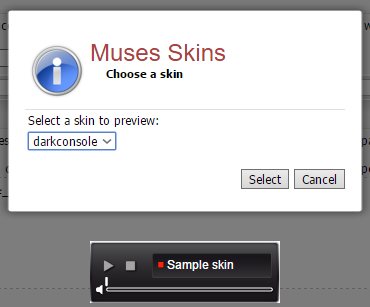 You can choose a skin for the web player. 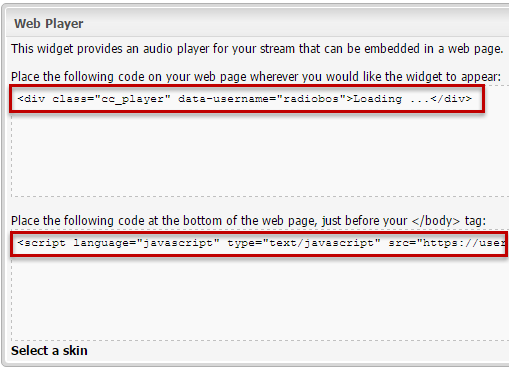 In addition to the player on the control panel, any player may be used that supports either the Shoutcast or Icecast server. 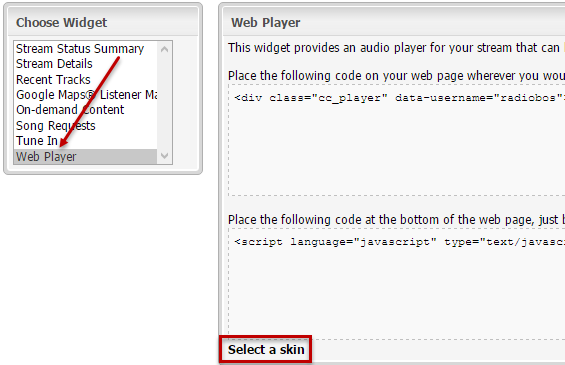 Different player versions can be found on the Internet using search queries like “Shoutcast player” or “Icecast player”.